After the dirt CAG found out in their last report, it is a weak position to defend Indian military but I could think the MiG-35 not being operational or a "finished" product would be a significant disadvantage vs. the Rafale. Regardless, if RuAF orders and starts operating MiG-35, AESA appears finally and prices are competitive I think the decision should be clear from a rational perspective. Russia's contracts have way less strings attached to them that those of the West and that alone is a massive reason for selecting their equipment. Especially now that US is abandoning any shred of restrain in terms of using force to get things going their way. Russia cannot allow themselves to behave like that. The tone for the MiG-35 presentation was set by CEO RAC MiG, Ilya Tarasenko. When asked the difference between buying Rafale and MiG-35, he said, “There is a technical decision and an economic decision. Once that is made, MiG-35 presents the better option.” He could have added another reason: Russia brings the political heft that India needs in times of unsure relations with China. The presentation was given by deputy director general, MiG Corporation, Victor Chernov. The message he gave was that MiG-35 is an entirely new aircraft which can cost-effectively meet all operational needs and maintenance parameters with minimal Aircraft on Ground (AOG) situation. Backing his claim by statistics, he said that the airframe had up to 80 per cent composites which will ensure less weight of aircraft, increased payload and minimal signature. The engine, RD MK, will provide 12 per cent more thrust which will ensure 200km speed at high altitude and 1,450km at normal altitude. The AESA radar would have capability to detect 30 targets at 200km, and could shoot six aerial targets and four ground/ sea targets simultaneously. The aircraft with eight hard points can carry six tons combat load, and is provided with refuelling pods to fly 2,000km with drop tanks and 900km without them. The engine life is 4,000 hours while airframe life is 6000 hours. Moreover, the aircraft has fly-by-wire for redundancy. In short, according to Chernov, MiG-35 meets all Make in India requirements. The issue is the "could" that is still not a "has". Untill then mig-35 won't be sold. Who is this guy "Kevin Sky" (I assume he's Turkish judging by his feeds general content) and why should we consider his numbers to have any veracity? I'd hardly believe that Zhuk would make such info public. Not a radar expert by any measure, but this performance seems fairly good? If a MiG-35 can carry an AESA that can detect an F-22 at 40kms (even against its sweet spot at 0 degree bearing) what can a Su-35 or Su-57 carry? I think he made his own calculations based on the data shared for zhuk (260km against a 3sqm target). With a reduced rcs, a mig-35 would be a dangerous adversary for any any f-15/16/18/eurocanard variants in BVR. 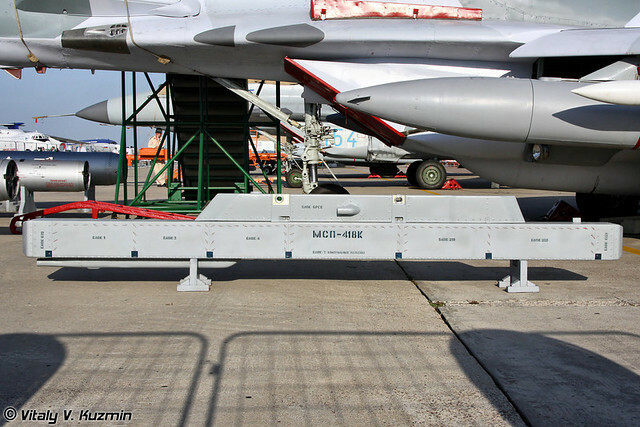 And contrary to mig-29, all its hardpoints can carry r-77-1 and probably future r-77M as it is developed in same time as su-57. Now they also need to give it new ecm pods. The first design included italian made ones. No clue where those data come from but that would be a really fantastic performance... I remain sceptic mainly due to the limited size of the radar, but hopefully we will know a bit more in the course of the ongoing Indian tender. I am not happy with build quality of Mig-35 , Too many patch like work with rivets , Compare to build quality of Indian Airforce French Mirages .....Mig-35 needs to get better tin that department. Russian's are not known for their finishing although their marketing is getting better. Doesn't matter functionally but certainly could be better. First impression is kinda important. so this MiG-35UB is another pre-production sample? Recall that at the end of 2016, RSK MiG at LAZ in Lukhovitsy near Moscow (former Production Complex No. 1) completed the construction of the first two prototypes ("pre-production") of the MiG-35 fighter under a contract to carry out the corresponding development project with the Russian Space Forces. 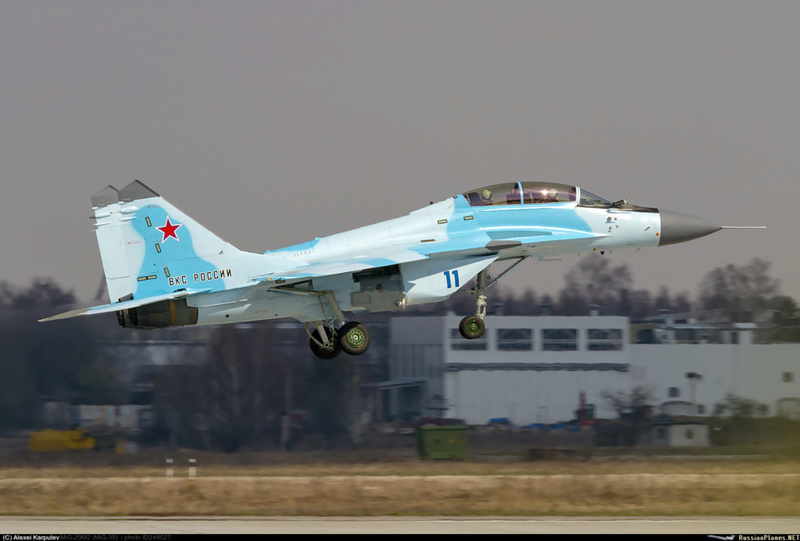 The first single-seater MiG-35 (9-41SR, tail number "702 blue") made the first flight in Lukhovitsy on November 24, 2016, and the double MiG-35UB (9-47SR, tail number "712 blue") December 1, 2016 of the year. The start of the official factory tests of both aircraft was announced during the presentation on January 26, 2017, they were conducted until December 2017. In February 2017, it was announced that the Russian Ministry of Defense had signed a contract for two more experienced ("pre-production") samples of the MiG-35 fighter to join the expanded State Test program. Initially, plans were announced to complete the State tests of the MiG-35 fighter by mid-2018, however, in reality, State tests with the participation of two prototypes built in 2016 were only begun in May 2018. The end date of 2019 is the date for completion of the State type tests. At the International Military-Technical Forum "Army-2018" on August 22, 2018, the Russian Defense Ministry signed with United Aircraft Building Corporation JSC (UAC, which includes RAC MiG JSC) a contract for the supply of the first six MiG-35S fighter jets and MiG-35UB. The term of the contract from 2018 to 2023, it was reported that the first aircraft on it will be delivered at the end of 2019.